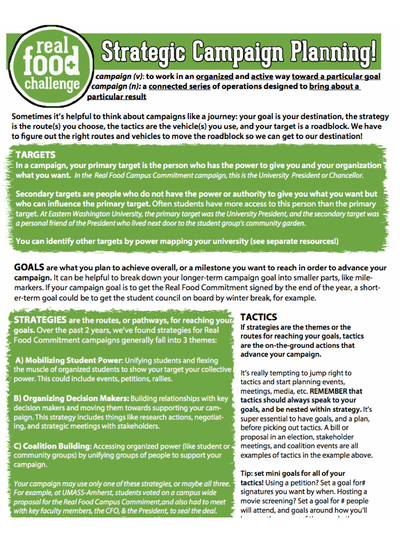 This resource provides some best practices for campaign fundraising on campus. 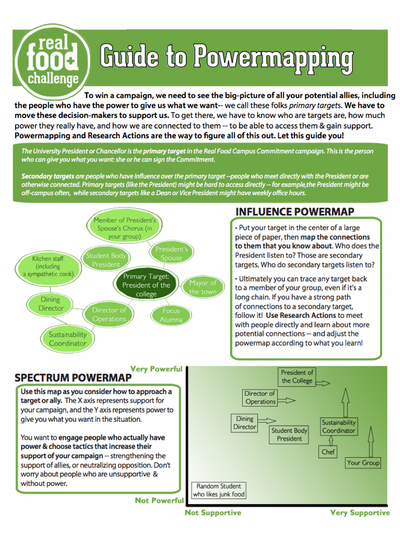 This resource helps you think through who has power on your campus and who the primary and secondary targets of your campaign are. 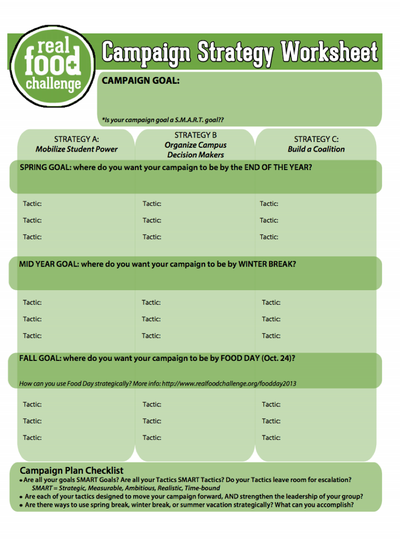 This resource provides some tips for thinking about what and how to communicate about your Commitment campaign. 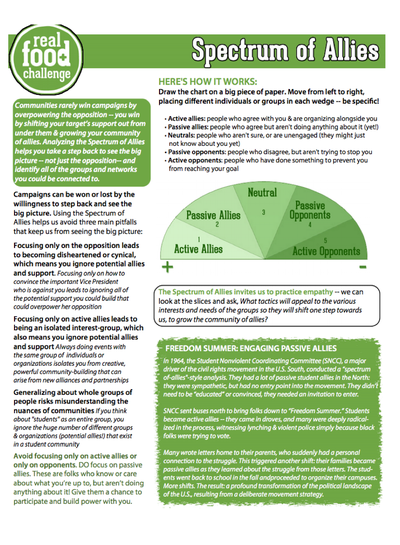 Check out this resource to help you understand who the allies and opponents of your campaign are and strategies for engaging with each group of people. 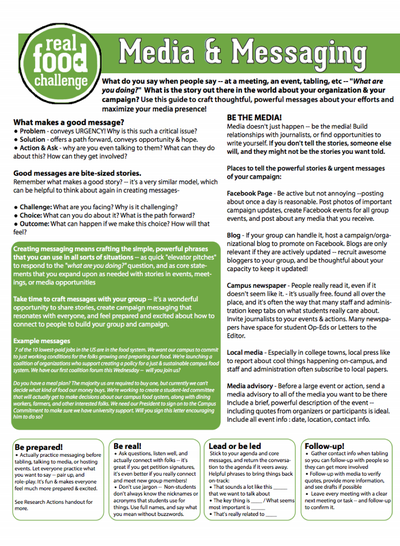 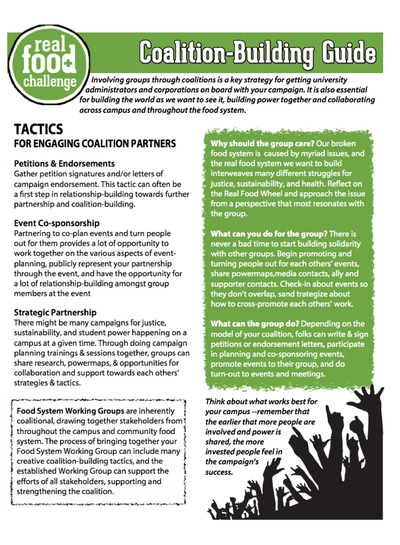 This resource summarizes the cycle of steps necessary to organize a campus campaign. 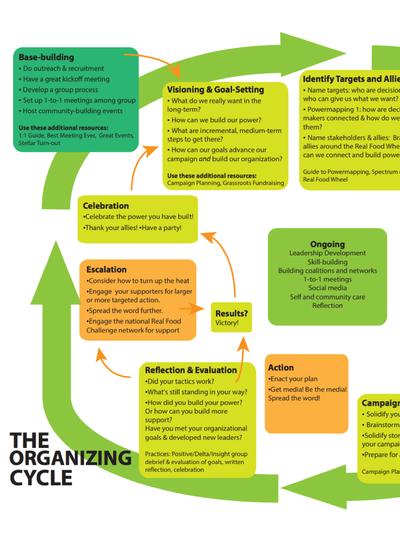 Good community organizing involves leadership development. 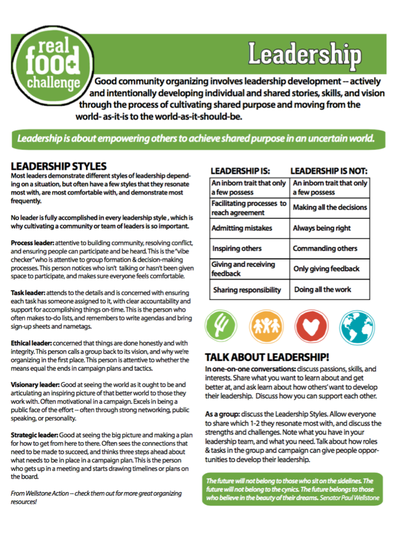 This resource discusses valuable leadership styles and skills necessary for a successful campaign. 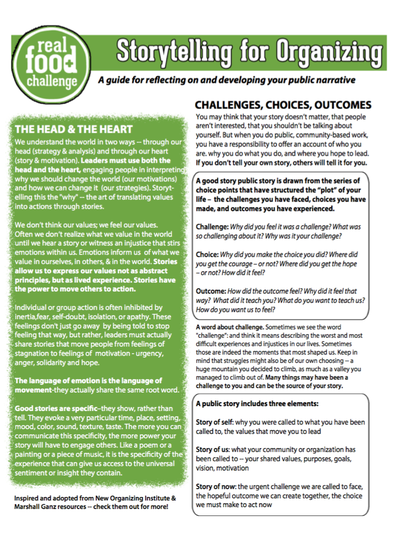 Effective storytelling is a key skill for successful leadership. 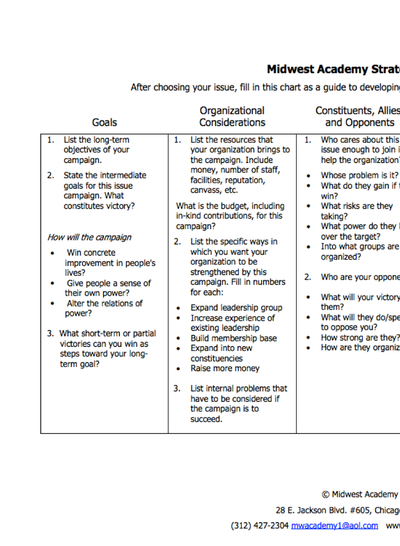 This resource walks you through structuring and developing your story. 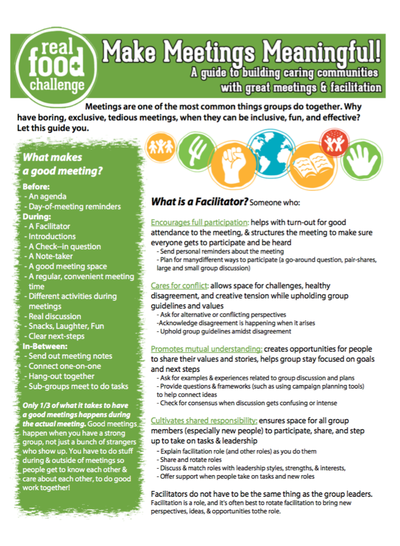 This resource provides tips on how to facilitate successful and meaningful group and one-to-one meetings. 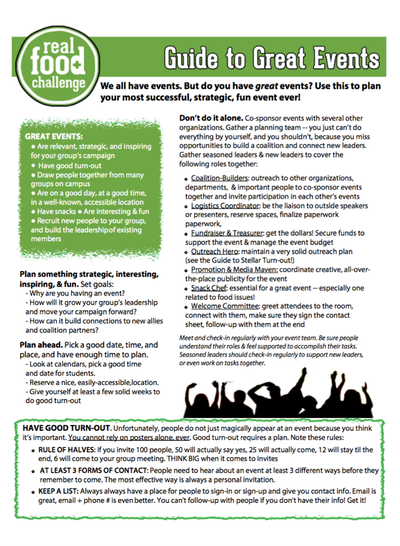 This resource provides best practices for recruiting for and running successful events as well as tabling sessions. 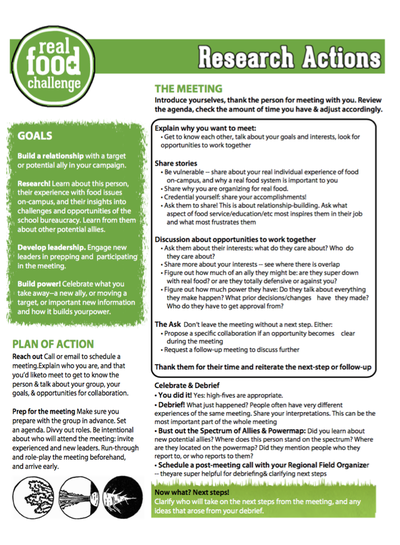 This resource shares some best practices for meeting and speaking with potential campaign allies. 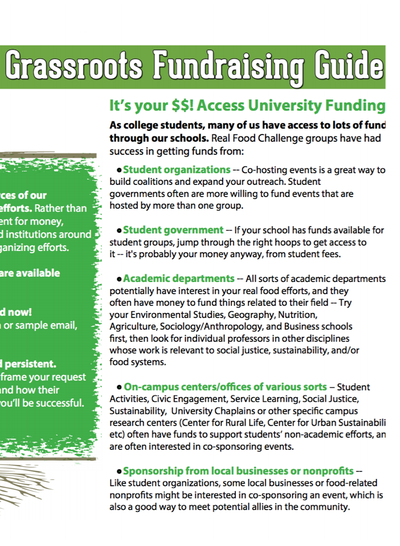 A simple chart with helpful questions to assist you in planning any initiative on campus. 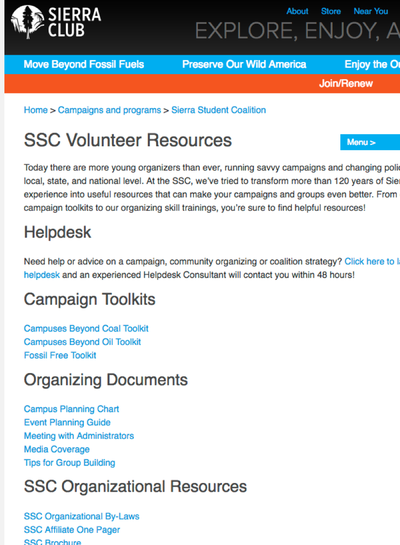 Focused on environmental and climate change campaigns, this site offers a variety of documents on organizing for student activists and leaders of all types.